I'm a little brain-fried from the excessive, scorching heat that continues to hit us on every inch of our mobility. Expand that arc with several nights of sleep deprivation, good and bad dreams, dreams which I couldn't decide if they were good or bad, body aches due to all that tossing and turning around, et cetera. Well, for all of us here I hope that the start of a new week would be a little better. Most of us just had a long weekend, though it might not necessarily be a good long weekend. I have been trying to catch up more on my reading, but honestly it is increasingly difficult to keep up with the brains unable to process and such. Worse, the paperback mountain seems adamant about adding more titles to its prominence in my bedroom. Anime wise, I'm a little more towards the dead end. Interesting titles, anybody? A fellow classmate has recently departed for Japan, mainly for work and then a little pleasure. He posted a little video capturing some breathtakingly beautiful fireworks. An old acquaintance spent a few days in Japan for 'The Idolm@ster M@sters Of Idol World!! 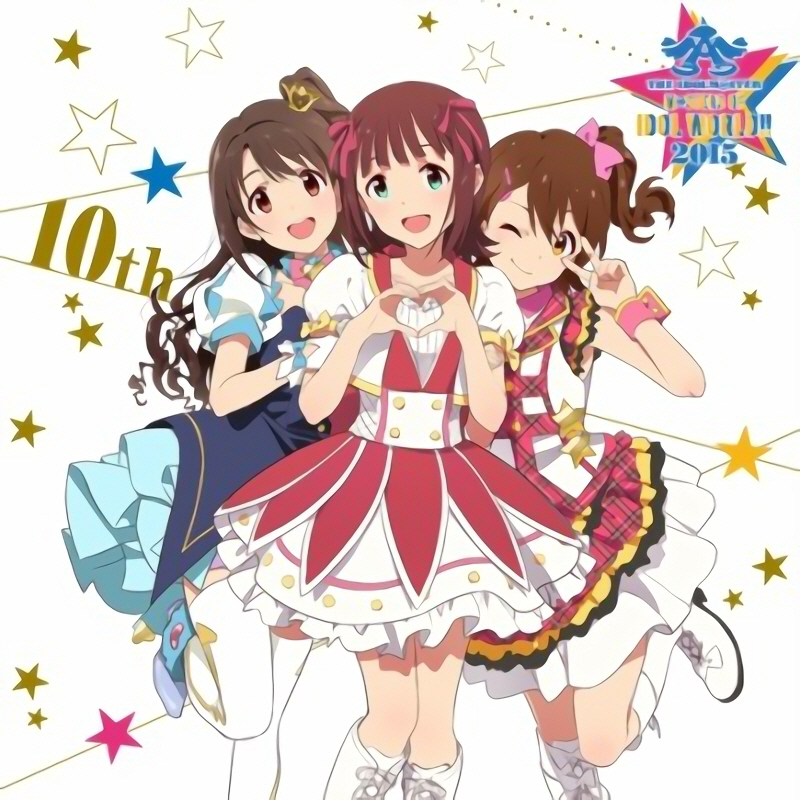 2015', the 10th anniversary concert featuring the idols from 765 Pro. Now, I'm not really that well-versed in the various idol franchises, but I still think that it would be a lot of fun simulating the part of an idol producer. Unfortunately, I still don't own a console anywhere. Rhythm games are supposedly numbing on the fingers. Tap, tap, tap! I do miss the good old rhythm games from the past. 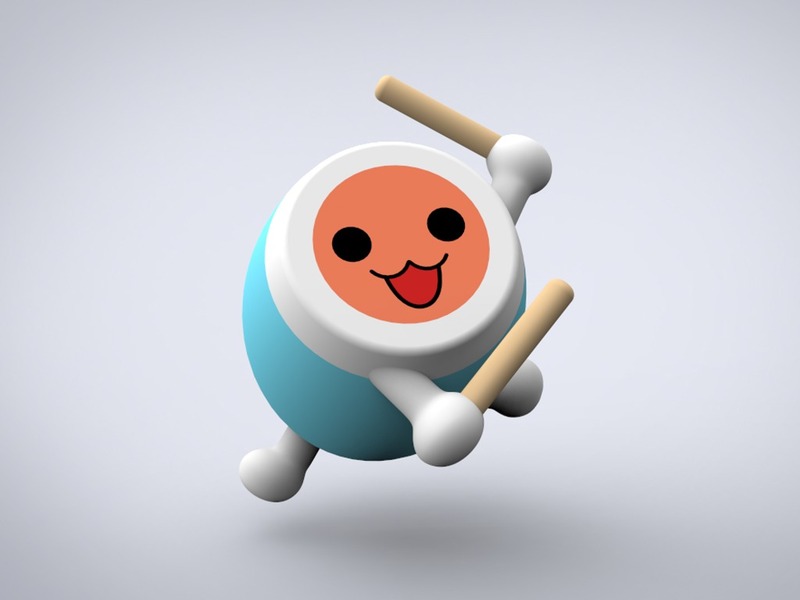 My favourite has to be Taiko no Tatsujin...its fifth generation I think? Well, unfortunately there was only the fifth generation around in almost every games arcade centre that I could think of at that time. Speaking of taiko, gosh I wish that I could once again lay my hands on those percussion sticks! The high energy and rhythm sense required for just one session (of three songs) would prove to be both physically and mentally draining, yet that experience is also something which I wouldn't trade for. I especially love the grander numbers like the classic medley for Sports Day and Symphony No. 5! Woo! Through the fifth generation, I was also acquainted with a lot of songs which I hadn't known before. The song arrangements were really kawaii and enticing. Back in those days, I would also hang around the taiko machine watching other gamers show off their skills. The red and blue taiko really melted my heart! There was also another rhythm game which I became rather fond of back then. Compared to the taiko, this one took me a little more courage to finally place my fingers on the touch screen. Yeah, I'm talking about Reflec Beat! Any readers played Reflec Beat before? I have to say that Reflec Beat was one of those games which I had purchased a game card for. You see, this game would actually unlock access to more songs for players with the game card as they accumulated points necessary to progress to the next level. The game card would track the player's efforts over time. Of course, one could opt to be just a casual player with limited song selections. I felt that it would be quite a waste not to explore the possibilities with this game. Unfortunately, I didn't go very far as my coordination clearly wasn't on par with the requirements of the game. What are some of your favourite rhythm games? I think that I should pop by the games arcade centre one of these days to see what is trending! No Comment to " Rhythms Of July "